Donations will only be used to support our trooper and their families in need! 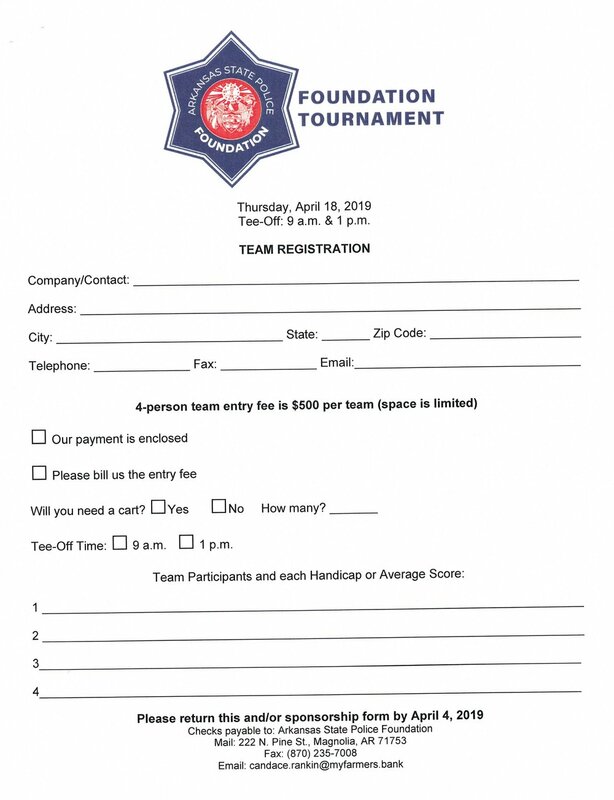 Please support the Arkansas State Police Foundation “Hearts for Heroes” fund by attending or contributing to this event. 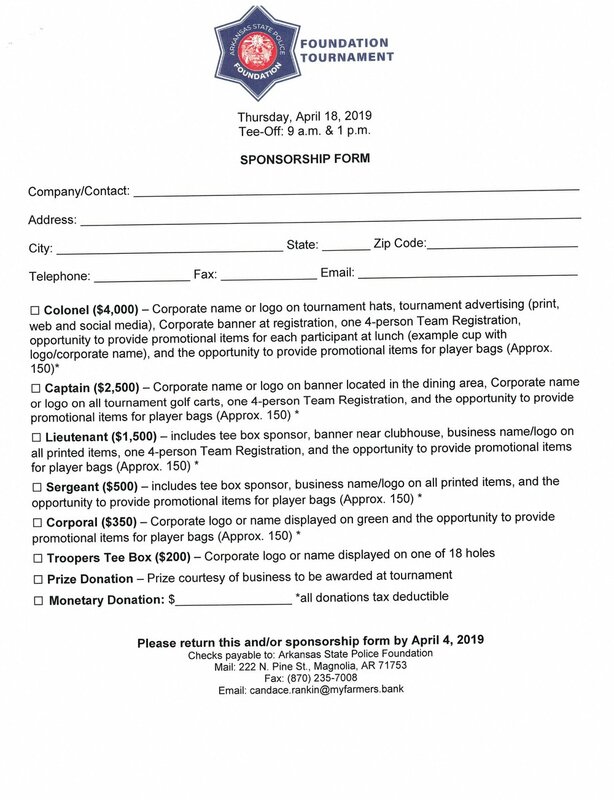 The Pulled pork plate fundraiser organized by Columbia County for Cpl. Clayton will be held Wednesday, January 30. Please forward to your friends! Tickets for the lunch of pulled pork sandwiches, chips, coleslaw and dessert are $10 and are available at Farmers Bank & Trust’s main office in Magnolia, or by calling Albemarle-South Plant employees Megan Jean, 870-310-5863 or Kimberly Jones, 870-235-6764. Meals may be picked up at the Albemarle-South Plant Security Office with a ticket between 11:30 a.m.-12:30 p.m.
Troop G President, Emily Hamilton, secured a phenomenal speaker for their meeting that took place Tuesday, January 22nd at Troop G Headquarters located at 2501 North Hazel, Hope, AR 71801. Major General Berry is a strong supporter of the ASP and was the driving force for the Spouse's Auxiliary to be started. 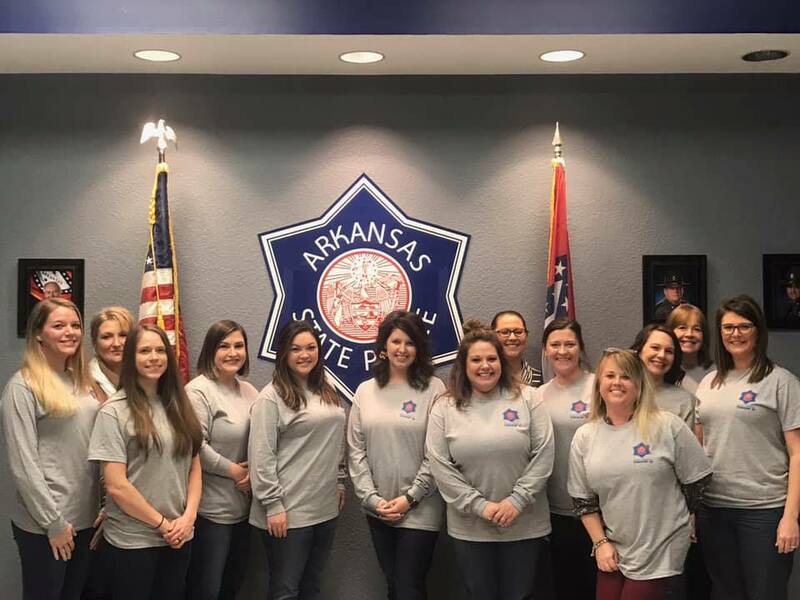 The Arkansas State Police Foundation Troop G Spouses’ Auxiliary adopted a seven member family for Christmas in partnership with Adopt-A-Family at Opportunities, Inc. in Texarkana, Hardee Electric Company in Hope and Savannah Pyler. Donations consisted of toys, household items, bicycle and many other gifts. Pictured are: Troop G Trooper Cullen Young; Hillary Young, Auxiliary Treasurer; Emily Hamilton, Auxiliary President and Beth Henley, Auxiliary Member. Thank you to Troop G Spouses’ Auxiliary for showing the true meaning and spirit of Christmas!